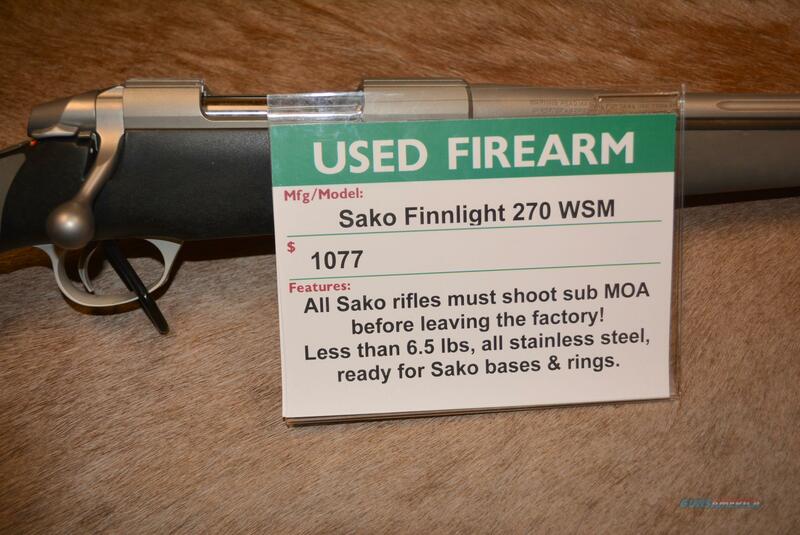 Sako Finnlight 270 WSM Used! Description: $20 Shipping in the lower 48 states! We took in a Sako 85 Finnlight 270 WSM. Comes with a 60 day mechanical warranty from Beretta USA. 5 shot detachable metal magazine, takes Sako bases & rings (we can provide if needed at additional cost), all SS construction, fluted barrel for less weight AND rigidity, SUB MOA accuracy.